Rare Whisky Brokering - Buying, Investing or Collecting Rare Whisky? Never has the secondary market for rare whisky been so strong. With an expectation that the value of Scotch sold at auction in the UK breaks £20m for the first time in 2017, the immediate horizon also looks increasingly positive. Many bottle buyers – be it for consumption, collection or investment – are seeking alternative ways to secure the bottles they desire. 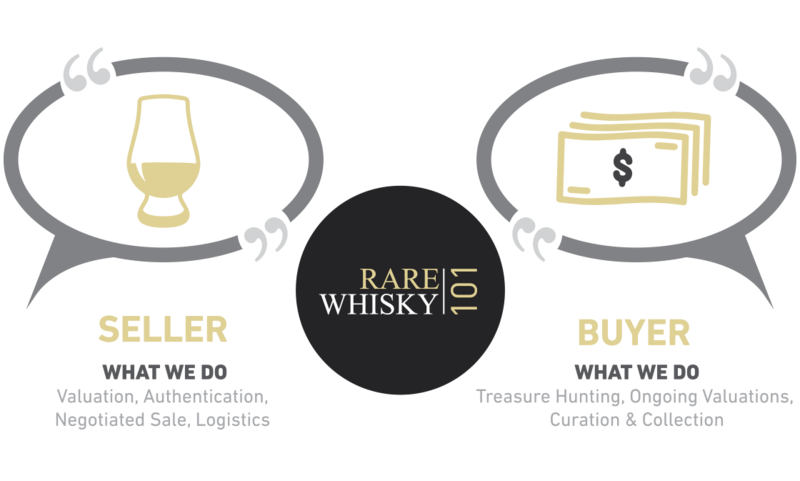 At Rare Whisky 101 our bespoke bottle brokerage service can assist you in your quest! We have an ever growing “black book” of sellers and buyers who see the benefits of using our brokerage service. Given the competitive secondary market, with many prices hardening, they see attractive value in bottle sale/acquisition via brokering.